This year marks two decades since Mexico transformed its pension system. In line with recommendations from the World Bank, the model was reformed from a pay-as-you-go, defined benefit system, whereby individuals were given lump sums at retirement to a fully funded, private and mandatory defined contribution scheme. This change meant that both individuals and their employers could start making small and regular contributions, revolutionising retirement for the Mexican population while also creating a new and burgeoning market for the country. Until this change was made, there were no institutional investors in Mexico, nor any asset managers. Two decades on, however, and the investment landscape in Mexico is incredibly different. Today, the country’s largest pension fund is Banco Nacional de Comercio Exterior – also known as Bancomext – a state-owned development bank with assets under management worth $35bn. This year is a noteworthy one for the industry for another reason: Bancomext celebrates its 80th year of operations. During this time, Bancomext has led the way for Mexico’s pension market and pushed the economy into new international investments. Of its recent milestones, there is one that stands out in particular. In a bid to strengthen its capital ratio and help improve the country’s trade prospects, on August 4 2016, Bancomext launched a historic issuance of subordinated capital notes. World Finance spoke with the CEO of Bancomext, Francisco González, about his company’s country-first bond issuance, and what this means for Mexico’s economy. What was the motivation behind Bancomext’s recent decision to issue $700m of Tier 2 subordinated preferred capital notes? Since 2012, Bancomext has experienced a strong and healthy growth in its loan portfolio. In order to preserve a healthy capital ratio, the management team at Bancomext decided to explore different plans of action to either reduce the loan portfolio through schemes such as securitisation structures, or to increase the capital ratio through the issuance of market and Basel III-compliant capital instruments. Eventually, a decision was made to opt for the issuance of a Tier 2 capital instrument, which was denominated in US dollars. Hence, the issuance would not only strengthen the bank’s capital ratio, but also hedge it against movements in the peso/dollar exchange rate. The bank’s capital was exclusively denominated in Mexican pesos, while the loan portfolio is primarily denominated in US dollars. Bancomext is proud to say that this deal won the World Finance Corporate Finance Award for Quasi-Sovereign Deal of the Year 2017. A contest was created among several potential banks based on their experience in arranging and selling these types of hybrid notes. The other two banks in the running were Credit Suisse and BBVA. No Mexican development bank had ever issued a capital instrument before, therefore several meetings took place with Mexico’s banking authorities and the Ministry of Finance, before the structure and provisions of the subordinated notes were defined and ultimately authorised. It took about six weeks to prepare the documentation, and then, on August 3 2016, five teams from Bancomext set off on a roadshow to New York, London, Boston, Los Angeles and Mexico City. The following day, Bancomext announced a $500m 10NC5 subordinated preferred capital notes offering (Tier 2). Given the high demand and excellent reception that it received, the deal was upsized to $700m. What’s more, the price was tightened from the initial 337.5 basis points to 300 basis points over the five-year UST, for a final coupon of 3.80 percent and a yield of 4.032 percent. Why did it prove to be such a big hit with investors? In October 2015, the bank had issued a $1bn 10-year note, after being absent from the international markets for almost 11 years. This transaction put Bancomext’s name back in the minds of the most important institutional investors worldwide. It was because of this that the market was expecting a new issue from the bank. Furthermore, the ambitious one-day roadshow at five of the world’s most important financial centres, which exposed our offering to key investors, proved to be a great marketing strategy. Investors were given so little time to decide that they rushed to place orders exceeding $3.7bn. This total came from just 230 investors. In other words, the transaction was oversubscribed by almost eight times the amount originally announced. What did the deal and its success mean for Bancomext? The positive effect for our bank was twofold. We were able to increase our capital from 11.4 percent to 19 percent. Additionally, considering that 70 percent of our assets are in dollars, the injection of capital in dollars enabled the bank to offset any devaluation or movement from the exchange rate. In addition, the offering provided a natural FX hedge for the bank’s capital ratio, which was exposed to movements in the peso/dollar exchange rate. As a result, the capital notes denominated in US dollars helped to minimise such exposure. The success of the deal confirmed Bancomext’s reputation in international capital markets as a solid credit. It also demonstrated its ability to reinforce its presence within the international investor community. Why do Bancomext subordinated capital notes have strong demonstration value to quasi-sovereigns around the world? State-owned development banks usually depend on the resources provided by their federal governments. Such resources may not be sufficient for the bank’s growth. Also, they may not comply with its mission of providing finance for the country’s continued development. Therefore, by accessing capital markets to raise capital-related funds, development banks can reduce their dependence on federal funding, while increasing their capacity for providing financing support to the population. What did this deal mean for the market in Mexico and the wider economy? As mentioned before, Bancomext’s transaction represents the first subordinated note issued by a Mexican development bank. In addition, it attained the lowest ever coupon for any subordinated capital instrument by a financial institution in Latin America. There are other Mexican development banks owned by the federal government, with different market niches. As the precedent has now been set, those Mexican banks, along with others in Latin America, could replicate Bancomext’s Tier 2 benchmark notes in order to enhance their own capital ratios. 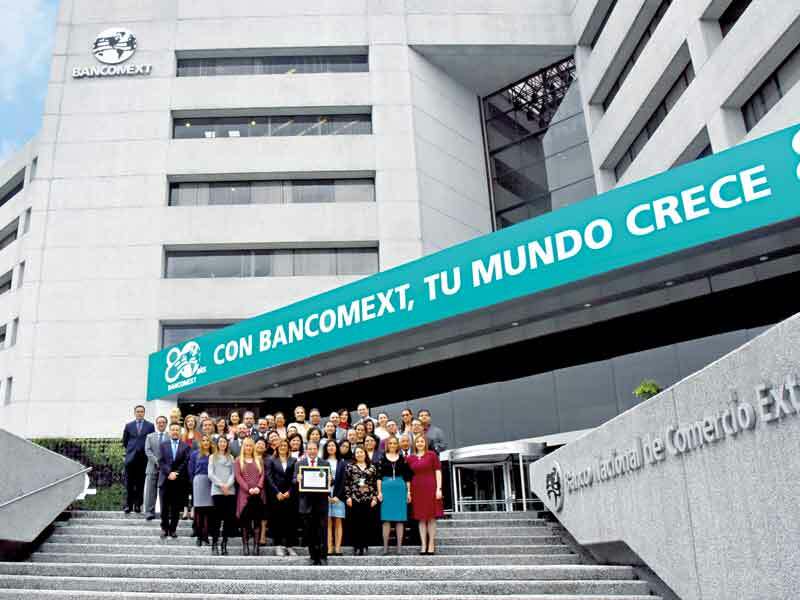 What long-term opportunities does the deal present, both to Bancomext and the Mexican market? With its 10-year $1bn senior note due in 2025 and its 10NC5 $700m subordinated note due in 2026, both of which were oversubscribed at issuance, Bancomext has demonstrated how well received it is in international markets. Given this success, the bank plans to maintain its presence in these markets through additional issuances of debt instruments in the future. The Mexican long-term debt capital market has now become an important liquid source of funding for banks and corporations in the country. In fact, there is a well-developed investor base for local subordinated notes. Although only commercial banks have issued peso-denominated subordinated notes in the local market, other state-owned development banks could replicate Bancomext’s Tier 2 structure to raise capital in pesos. What key lessons did Bancomext learn during the process? What advice would Bancomext give to other issuers? For the issuance of its Tier 2 capital notes, Bancomext received the support of the Mexican banking authorities, as well as that of the Mexican central bank. Undoubtedly, such support was crucial during the design phase of the notes’ financial structure. It is therefore extremely advisable for any banking institution in Mexico seeking to issue similar securities to work very closely with the Mexican authorities. It is vital to obtain their sponsorship and assistance throughout the process to ensure the bank’s ultimate success in such endeavours. What can markets expect to see from Bancomext in the coming year? Bancomext is planning to keep its presence in the local and international debt capital markets. In fact, in addition to the traditional dollar markets, the bank is also now exploring the possibilities of entering other regional markets, such as the Taiwan Formosa market, the China Panda market, the Norwegian NOK market, and the Suisse CHF market.